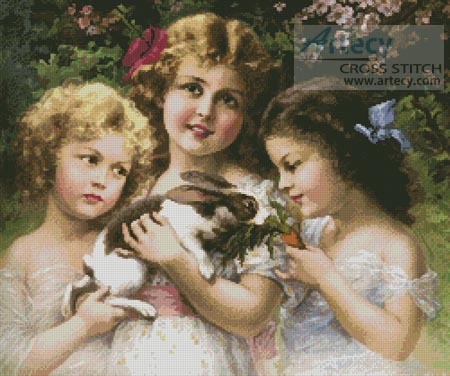 The Pet Rabbit Cross Stitch Pattern to print online. 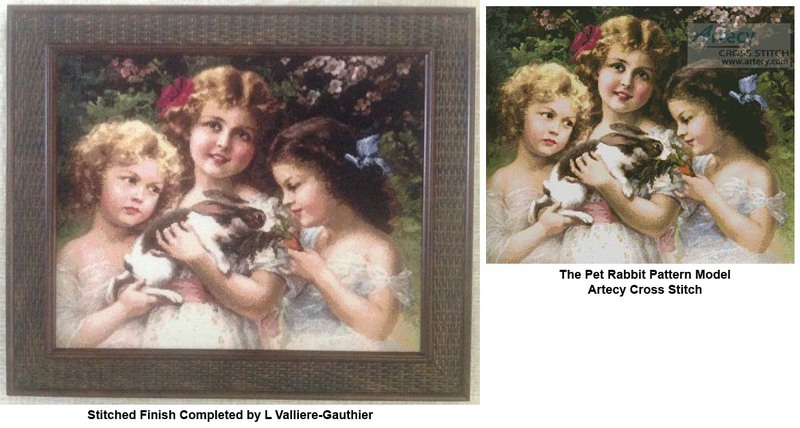 This counted cross stitch pattern of girls with a pet rabbit was created from a painting by Emile Vernon. Original image courtesy of www.artrenewal.org.